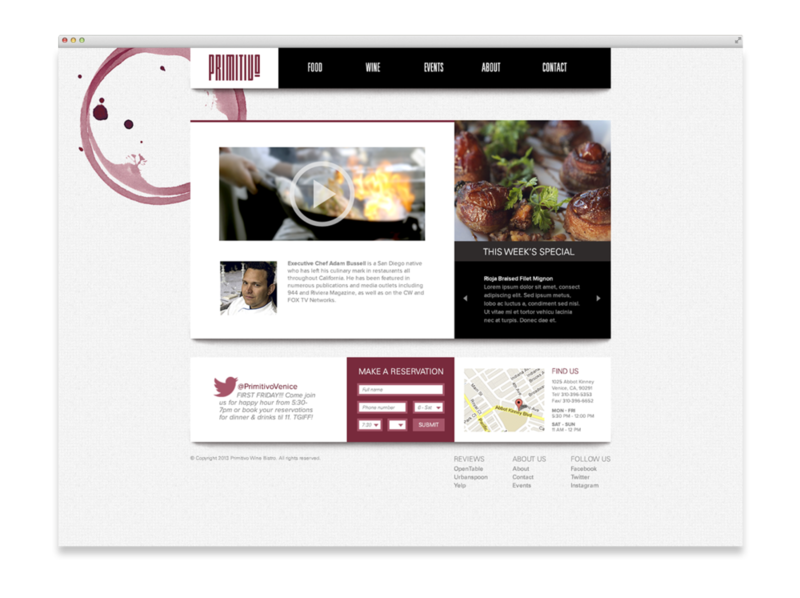 Client: Primitivo Wine Bistro is located in the heart of Venice, Los Angeles (CA). The bistro is well-known and liked by locals, and has been in business for over a decade. They specialize in wine and have an overwhelming selection to choose from. The environment is young and heavily influenced by local artistry and 'hipster' culture. Purpose: The client needed a stronger visual presence in their local Venice community, as well as a more modern and up-to-date look. Additionally, their wine menu was large and overwhelming for young beginners at wine, and needed to be more clear and navigatable. Solution: Primitivo is very down-to-earth and authentic, and as such it is important that their identity does not come off as too classy or high-end. To fit this philosophy, a modern theme with accents of grunge style was chosen. Elements like handmade wine-stains and rough paper assist in keeping the brand grounded and on eye-level with the locals, while still supporting the identity of the specialized brand. Currently, Primitivo's wine menu is a fat book with lots of pages. It's hard to navigate, especially for someone who's not very knowledgeable about wine. 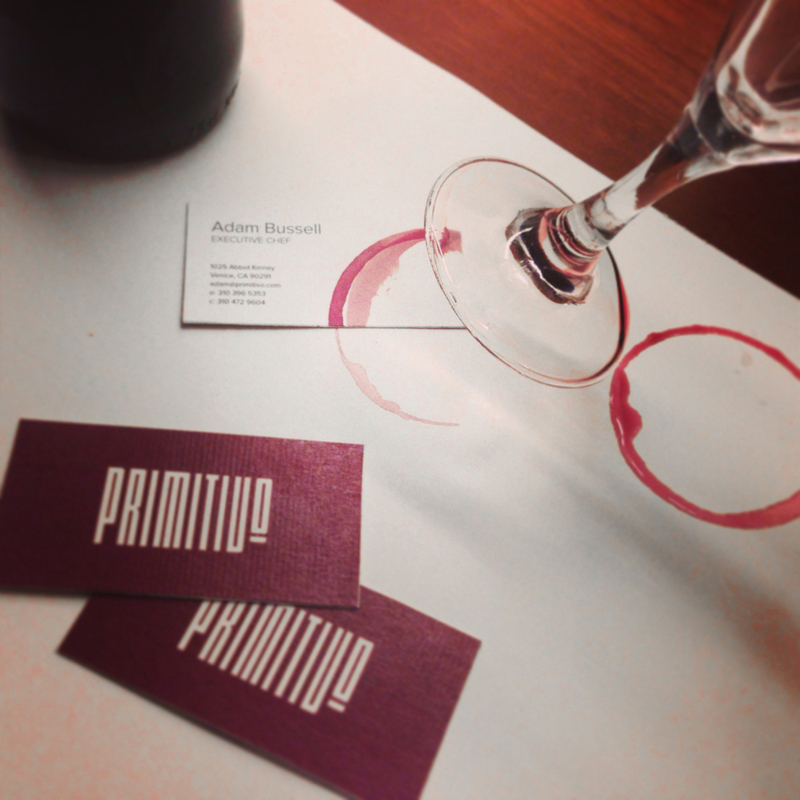 For a new wine menu, an accordion fold was chosen to better reflect the casual nature of the restaurant, as well as providing an excellent and rapid overview of Primitivo's entire selection. Old World wines on one side, New World wines on the other (with information about the distinction). The wine menu in the pictures below was a quick mockup, made to show the style and layout. Primitivo's selection is overwhelmingly large, so instead of transcribing the details about every single bottle, champagne titles were used as a temporary placeholder to display all titles.